- Type "Run" and open the Run desktop application. - In "Open", type "%appdata%" and hit enter. This will bring you to "AppData\Roaming" - go back a level by clicking on "AppData" in your explorer's address bar. 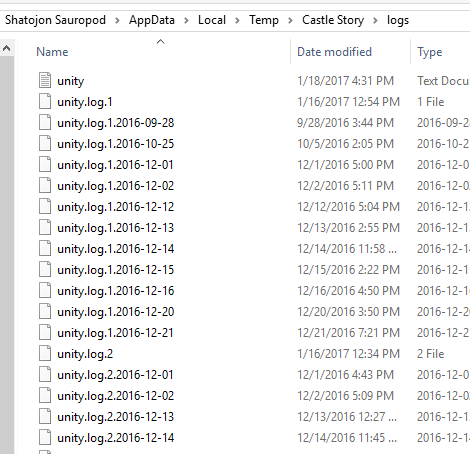 Navigate to Local > Temp > Castle Story > Logs. Please find any text document that contains unity, log or brix in the name, dated around the moment when you had the issues and share them to us. Preferably, both the person hosting and the players joining would send us their logs.